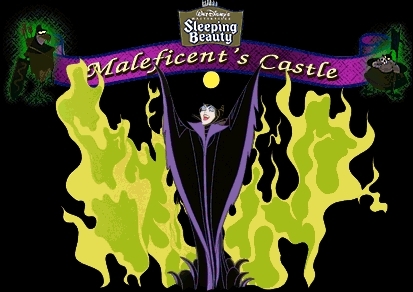 What do toi think about the movie Maleficant airing 2014? After many childless years, King Stefan and his Queen welcome the arrival of their daughter, Aurora. The newborn Princess is named after the Roman Goddess of the dawn because of how she fills the lives of the King and Queen with sunshine. While still an infant, she is betrothed to the also-young Prince Phillip, son of King Hubert, uniting their respective kingdoms. At her christening, three good fées - Flora, Fauna, and Merryweather - arrive to bless the child with gifts. Flora gives the princess the gift of beauty, while Fauna gives her the gift of song. Ok I know that its from Walt Disney’s time and all but seriously I do not know why so many people l’amour this movie. The story is about a princess who is cursed on her 16th birthday par an evil Queen who cast the spell on her (she pricks her finger on a spinning wheel and she falls into a deep sleep………Snow White anyone?) ,the 3 fées bring her to a forest where she lives in a cottage and she falls for a prince named Philip. But will Maleficent find her??. a pop quiz question a été ajouté: Sleeping Beauty takes place in the same country as the Great souris Detective, Sword in the Stone, 101 Dalmatians, etc?